Professor Judith Molka-Danielsen, Molde University College. 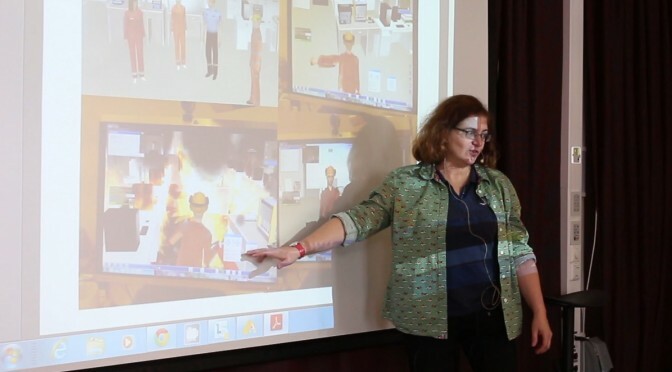 Friday’s scientist stand-up in the campus canteen featured professor Judith Molka-Danielsen and a fire in Virtual Reality. Molka Danielsen, professor at Molde University College, demonstrated a VR learning task during the last scientist stand-up in a series of five during Forskningsdagene 2015.